If you’re already on the property ladder and thinking about moving, finding the right house and financing the purchase may feel challenging. Having the right mortgage this time around is just as important, as it could have a bearing on how much you actually have to spend on your home as well as the size of your monthly repayments! 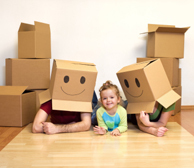 That’s where we can help at Personal Touch Mortgages by providing mortgage advice tailored to your requirements. We will listen to you to make sure we fully understand your circumstances before exploring all your mortgage options to find the right one for you. Let us do the hard work so you can go shopping with confidence! ” I first met Alan a number of years ago, assisting with 2 house moves. Following both house moves, I would highly recommend Alan and the services to anyone looking for financial advice or assistance. Alan proving to have a significant, up to date knowledge of all available deals in a fast changing market and keeping everything well within budget.